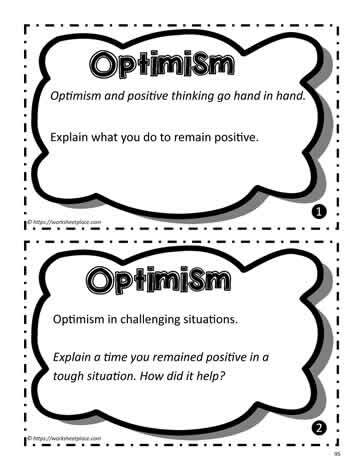 Task cards to help students learn about the character trait optimism. Character education teaching ideas and worksheets for students. Homeschooling the character traits.